Whether it comes to a colorful promotional brochure, a graphic-rich user manual, or an elegant conference pamphlet, Soft Localize offers professional full desktop publishing solutions. 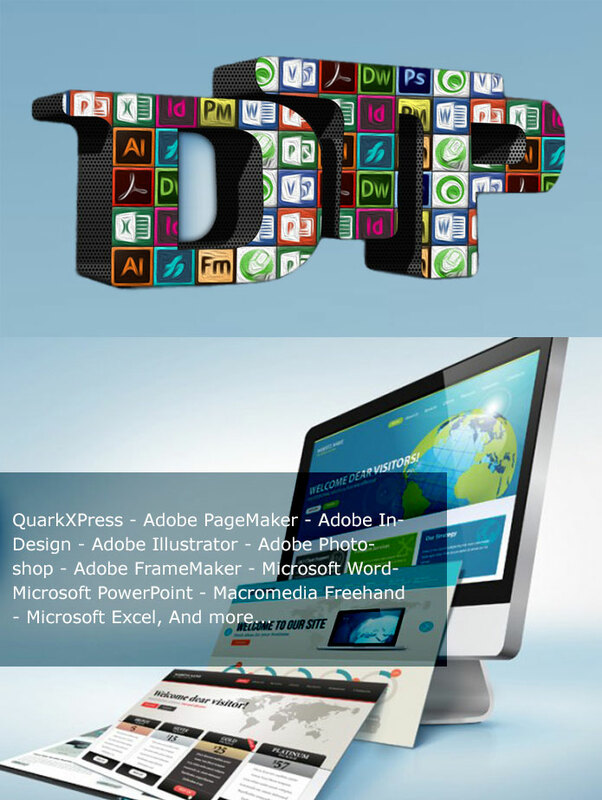 We have the ability to support Mac and IBM platforms in addition to completing tasks with a variety of DTP software. Our proficient team can handle the most challenging projects. Even in absence of source editable files, we have enough expertise and savoir-faire to recreate an Arabic version of your original product. Localization into Arabic, however, involves more than simply replacing Western script with an Arabic one. Not only is Arabic written from right to left, which requires adapting the whole layout and graphics accordingly, but there are cultural aspects that need to be taken heed of. At Soft Localize, we make sure that the total layout and images are both culturally appropriate and appealing.